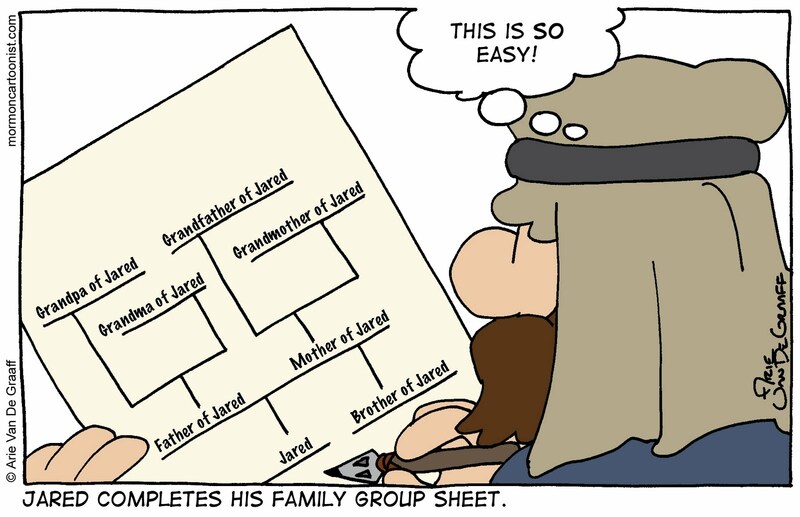 It has long amused me that of the two brothers, Jared got a people named after him while his brother--who didn't even warrant a proper name* in the record--did all the work. Of course, these things happen when it's a descendant of Jared making the record (it's a variation on the whole "history goes to the victors" thing). Incidentally, it's very possible that Ether was not just a descendant of Jared but the rightful heir to the throne (his paternal grandfather was forcefully removed from office). If Jared's father, Coriantor, was his father's youngest son and if Ether was Coriantor's youngest son; then Ether was essentially the king in exile. This would add one more stumbling block to Coriantumr, the acting Jaradite king, accepting Ether's call to repentance. Making Coriantumr even more your prototypical Shakespearean flawed hero. *The Brother of Jared's given name was Mahonri Moriancumr (which might further explain why Ether never bothered recording it). The story of how we came to know this goes as follows: In Kirtland, during the early days of the Church, a brother Cahoon asked the prophet Joseph Smith to please bless and name his newborn son. Joseph did so, giving the boy the distinct name Mahonri Moriancumr and then explained that it was revealed to him that this was the name of Brother of Jared. The moral of the story: don't let a prophet name your child (see also Isaiah and his son Maher-shalal-hash-baz). Well done, sir! Well done! This is one of the funniest comics you've ever written. It's a very clever jewel of an idea. Incidentally, "the brother of Jared" and "mahonri moriancumr" both have 17 letters in them and if you add in the spaces, that's two more key strokes in the former. So what did we really gain by "abbreviating" that name? Joel, in defense of Ether, we don't know how many characters it took to write the "Brother of Jared" and "Mahonri Moriancumr" in the Adamic language. * For all we know "brother" could be as few as one or two characters. *Since the Brother of Jared's prayer was that his language would not be confounded at the Tower of Babel, is it safe to assume that Ether wrote in the Adamic language? If so, it could possibly explain why Moroni was so impressed with the power of the Jaredite written word. It also could mean that "deseret" might be the only truly Adamic word currently known to man! This might be my favorite comic you've every drawn! I always thought the brother of jareds name was only the moriancumer part cuz mahonri was what bro. cahoon had named his own son. I should have thought of this activity for family home evening a long time ago! I wonder what the school teachers thought of "Mahonri Moriancumer's name (Bro. Cahoon's son)? "And...uh...how do you say it again?"